On my first day in Ireland, I’ve been on a trip from Killarney to Kenmare. Although I had my share of trips to gorgeous places, I’ve been fascinated with Killarney, this tiny town in County Kerry, southwestern Ireland. Should I have known that was such a lovely place, I would have booked a much longer stay. There are so many things to do in Killarney, that I could have kept myself busy for at least one month. Unfortunately, I’ve only had four days, out of which, three were already reserved for the TBEX Travel Blogging Conference (this being the main reason for my presence in Killarney). This also explains why most of my photos are taken by night. I chose the train, but you can also rent a car or take a local flight. 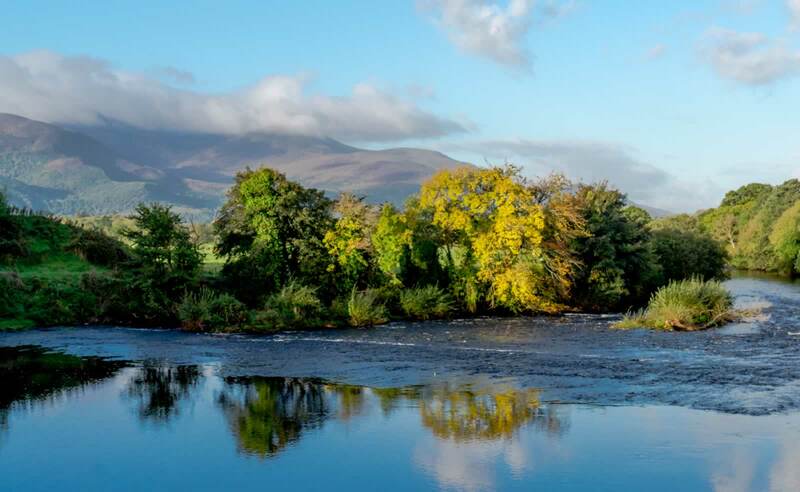 If you don’t want to bother with public transport arrangements, you can book a Kerry full day tour from Dublin, which will take you through the marvelous scenery of this area. The panoramic vewis of Dingle Bay and Ring of Kerry will leave you in awe. As you get to the train station in Killarney, everything looks neat and welcoming, one of the very few peaceful corners left in this world. Nobody is in a hurry, people take time to look around them, to see the trees and the old Celtic style buildings. 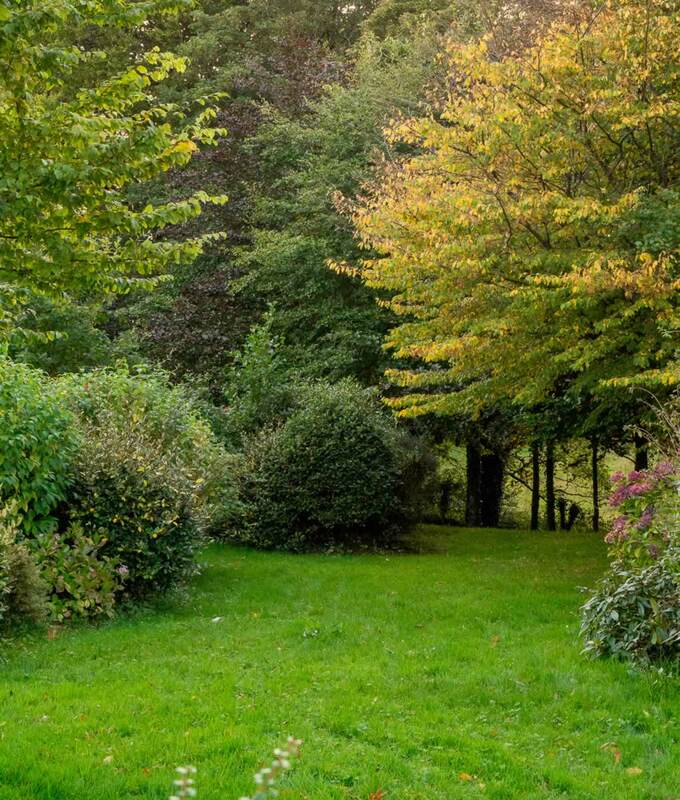 As you drag your luggage along the main road, you’ll encounter a parking lot full of horse carriages and the Killarney Park Hotel, surrounded by luxuriant greenery. Finding your way around is easy. I’ve used my GPS to get to Glena’s House, the bed & breakfast I had booked, and I didn’t encounter any problem in getting there. To make a long story short, I had a wonderful time, the accommodation was basic, but very clean, with a nice breakfast, and located at only 5 minutes walk from the town center. Taking into consideration the price, I can say this is one of the best accommodation options in Killarney for budget travelers. Anyway, if Killarney isn’t on your Ireland bucket list, you should add it right away! Besides, you don’t have to stay in a B&B, as there are some other interesting accommodation options. For instance, why not try one of the castle hotels in Ireland for a change? 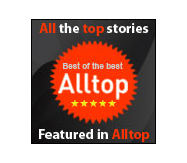 You’ll be pleased to find out that their prices are similar to the ones of regular hotels. Unfortunately I found out too late abut this opportunity, so I’ll have to keep it in mind for my next trip to Ireland. Everything looks neat, there are lights everywhere, and the town feels safe and welcoming. The center is rather small, but perfect for a stroll before bedtime (or before beer time for that matter). You’ll find old stone churches everywhere in Ireland.Tthey all make great photo subjects. 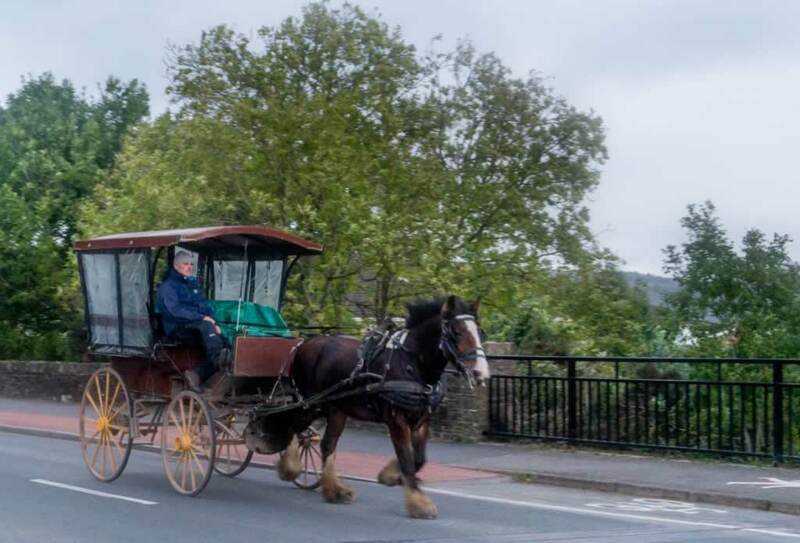 Jaunting carriages are pretty much everywhere around Killarney, so it shouldn’t take you too long to find one. You can book a ride through the Killarney National Park, in order to view the scenery and avoid cars and pollution. 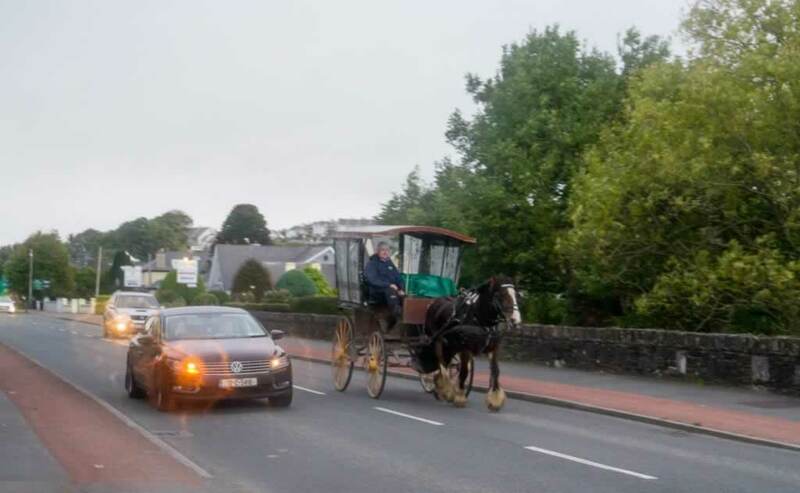 Here’s a link where you can book one hour tour through Killarney in a jaunting car. 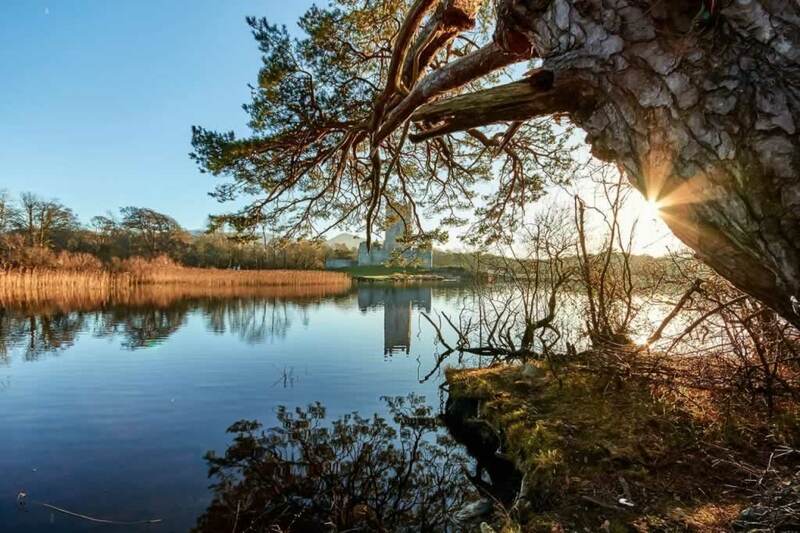 The tour takes you to the Ross castle, the Killarney National Park, the Deer Park, and St. Mary’s Cathedral. The most beautiful thing about this specific one-hour tour is that it takes you through areas where cars aren’t allowed, so you’ll enjoy your ride without having to put up with the road traffic. The entrance to Ross castle isn’t included. You can visit the castle on your own, either before or after the ride. If you have two hours to spare, you may want to take this jaunting car and lake cruise tour instead. You’ll sail along the shore, so make sure you have your camera with you, as there will be lots of great photo opportunities. 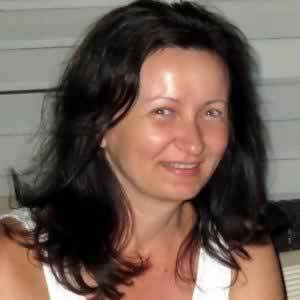 The Captain will tell you some details about the flora and the fauna in this area. This your is the best thing to do in Killarney, as it will take you through the Killarney National Parklands and the lakes of Killarney. Why drive when you can take this guy for a ride? You’ll go faster than the cars. 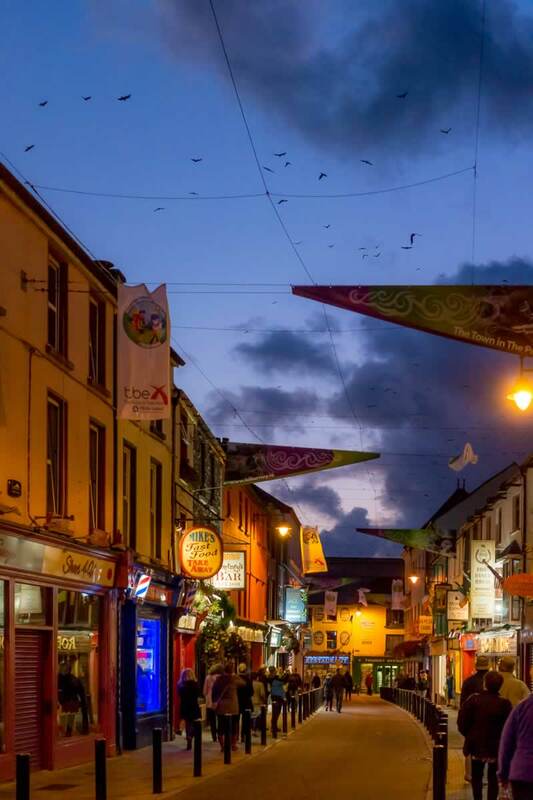 The main streets of Killarney are full of bars and pubs. At first sight, you’d think they are all small, and that nothing goes on inside, other than drinking and eating. However, these pubs are way bigger than what you can see from the outside. The backyard of many pubs in Killarney is home to live music and Celtic dance shows. You can eat, drink and dance until you drop. There’s no need to go with friends, as you’re going to make plenty of them on-site. 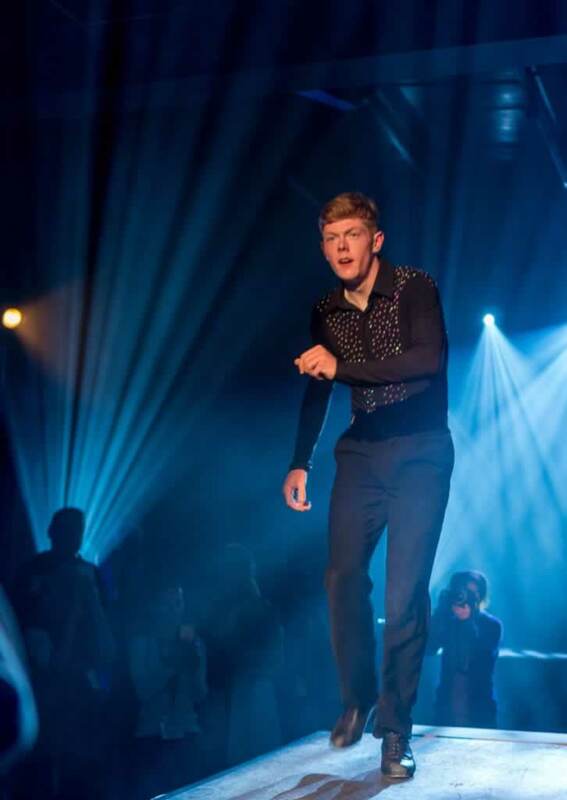 Irish people are welcoming, so you’re going to feel at ease in the middle of the dancing crowd. If you don’t want to enter those pubs, all you need to do to listen to some cool music is to wander the streets. There are musicians playing by every corner, as music and dancing are the most popular things to do in Killarney, and perhaps in other parts of Ireland as well. This scene was part of a Celtic dance show that was organized at the Killarney Racecourse. You don’t need to attend such as performance, as you can find great dancers and music in many of the downtown pubs. 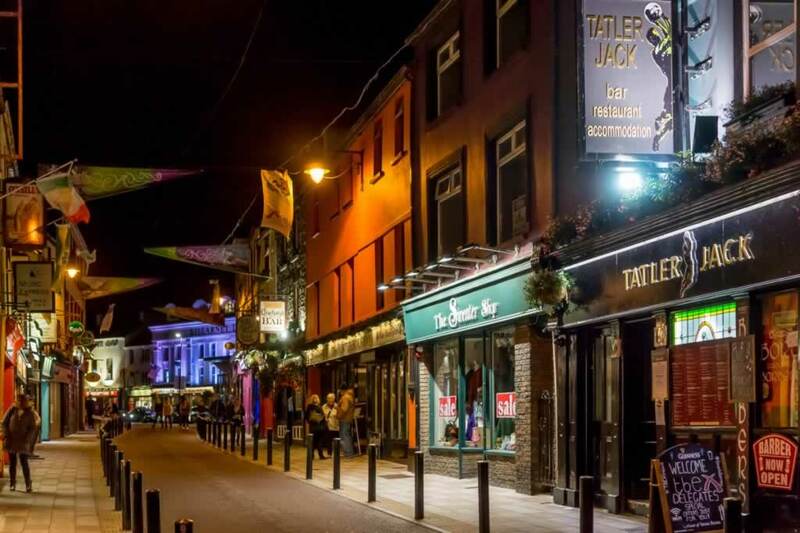 Just follow the music and the crowds, and you’ll find great entertainment, craic, and good beer. What is the best thing to eat on an island? Fish and sea food, of course! All restaurants have it on the menu. I’ve tried fish and chips at The Flesk Restaurant, together with a glass of wine, and I’ve liked it. I ate it too fast to remember to take a photo, but you can take my word for it. 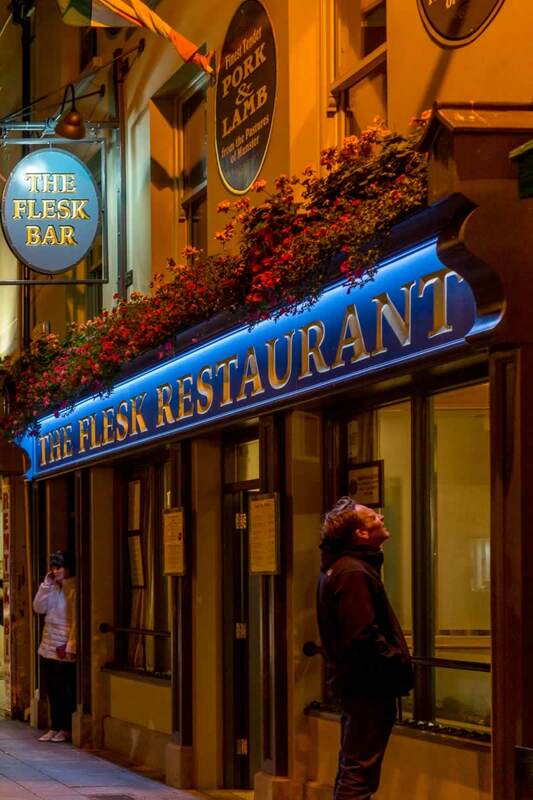 The Flesk Restaurant, a place with good food and amazingly welcoming staff. The waiters would really go out of their way to make you feel good. 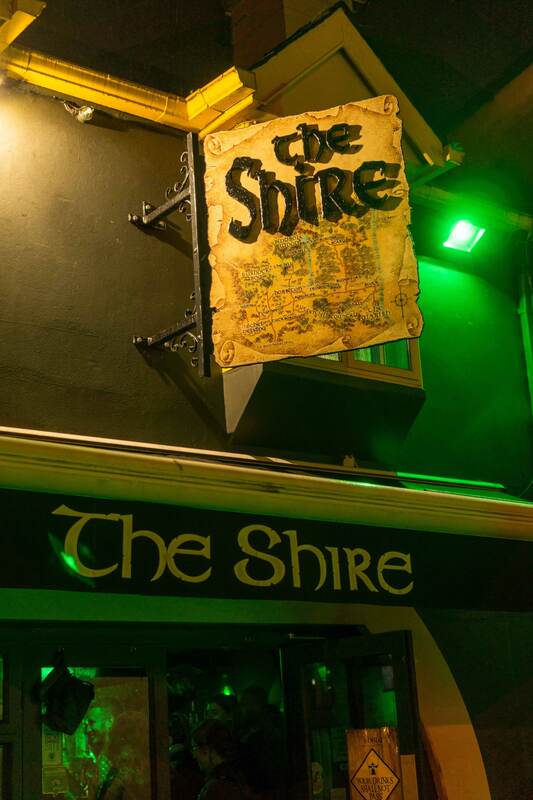 If you are a fan of The Lord of the Rings and of The Hobbit, you shouldn’t miss The Shire, one of the funniest pubs in Killarney. Anyway, this is hard to miss, as Gollum doesn’t waste his time. 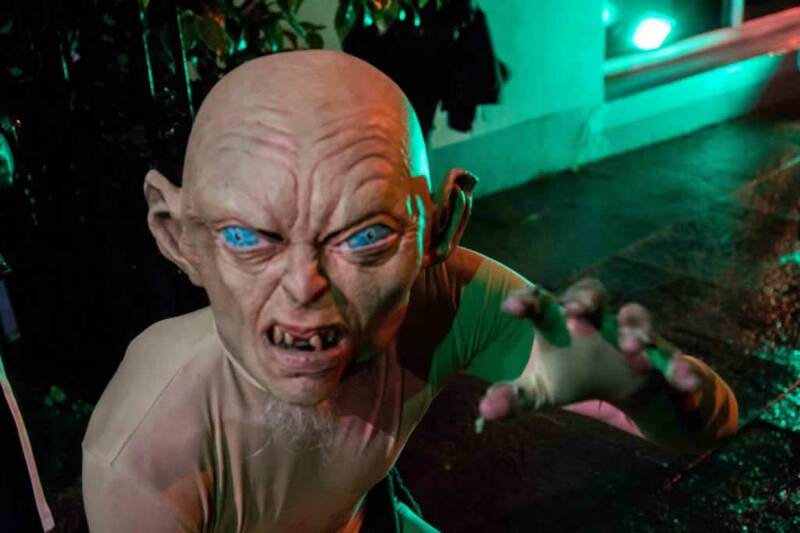 He roams on the main streets inviting all people who have run out of things to do in Killarney by night to stop by The Shire. 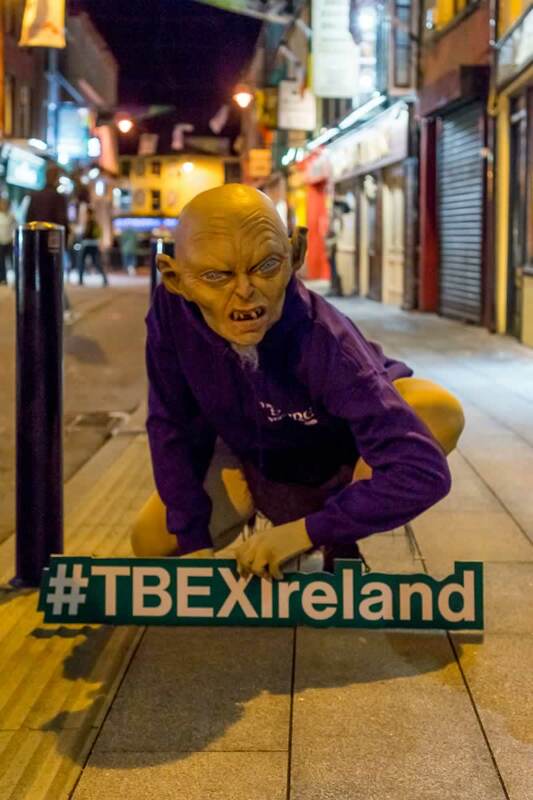 Gollum wanders the streets of Killarney, inviting people to stop by The Shire for a beer or two. He loves the camera, and doesn’t mind waiting for you to get a focused photos of him. 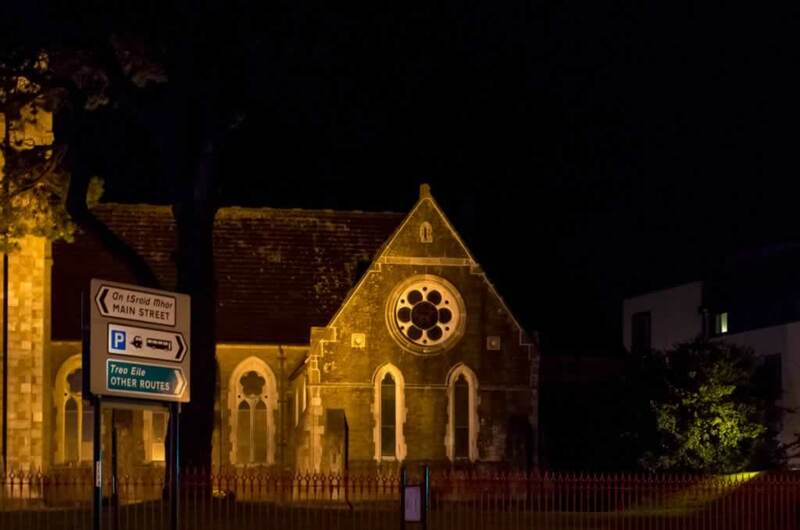 The Shire – one of the best places to try in Killarney. While here, try a pint of Gandalf’s ale. If you’re lucky, Gandalf may stop by to have a chat with you. I usually prefer wine. However, when you visit the land of the beer, you have to taste some. 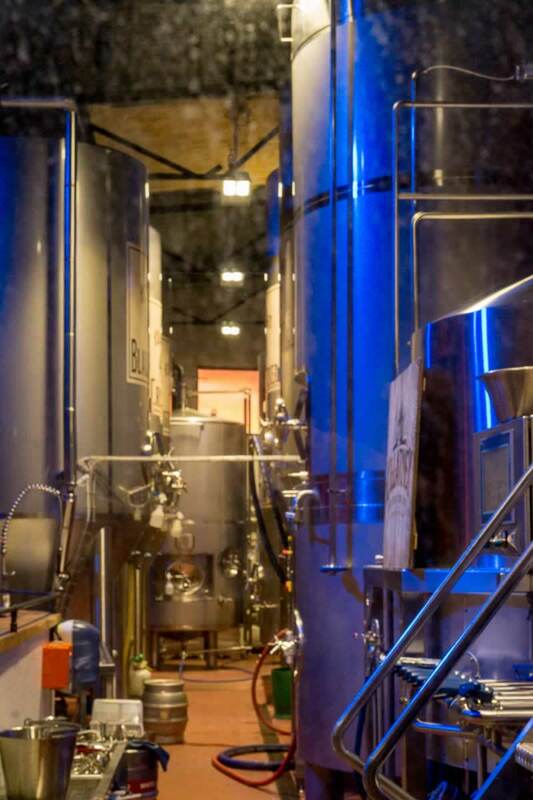 There’s a cool brewery in Killarney, Killarney Brewing Company, just nearby the bridge over the Flask river, where you can enjoy beer tasting and find out more about brewing. 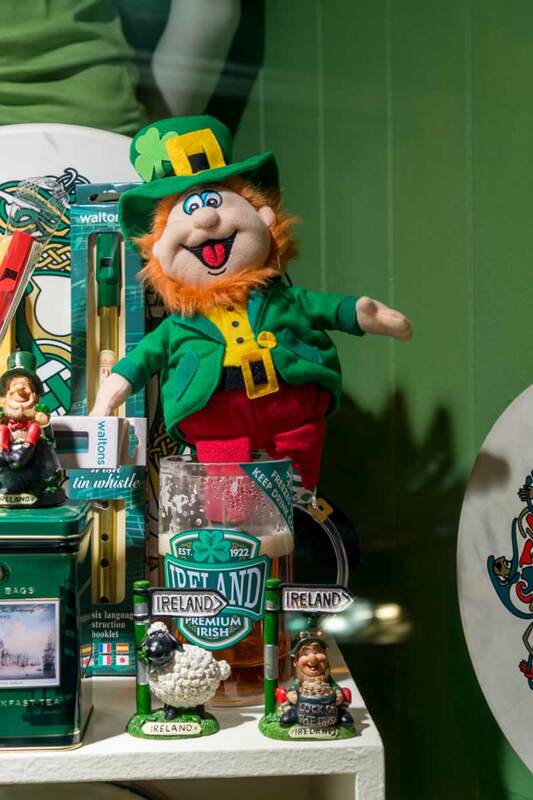 There’s always fun and laughter at Killarney Brewing Company. Every time I passed by, there were large groups of people laughing and signing. 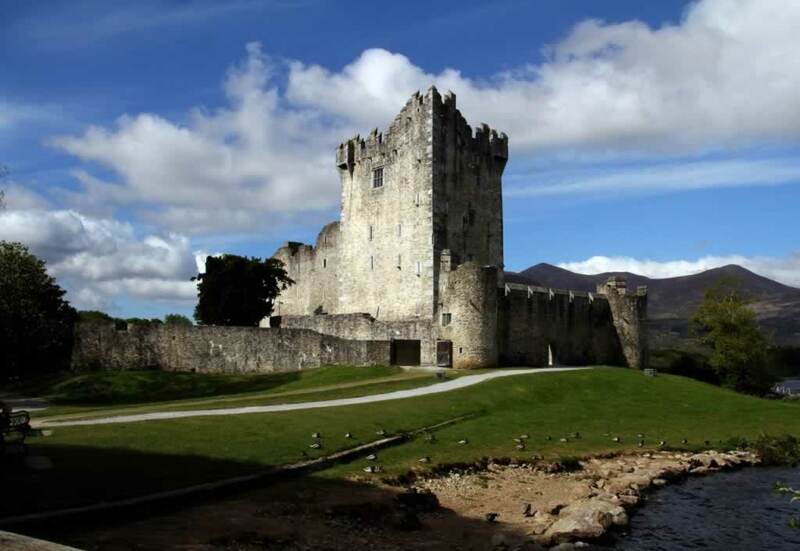 Ross Castle is only a short drive away from Killarney. If you can’t be bothered driving, you can walk there, as it wouldn’t take you more than 30-45 minutes. The castle is in the middle of a beautiful park, nearby a lake. I have a funny story about this one. 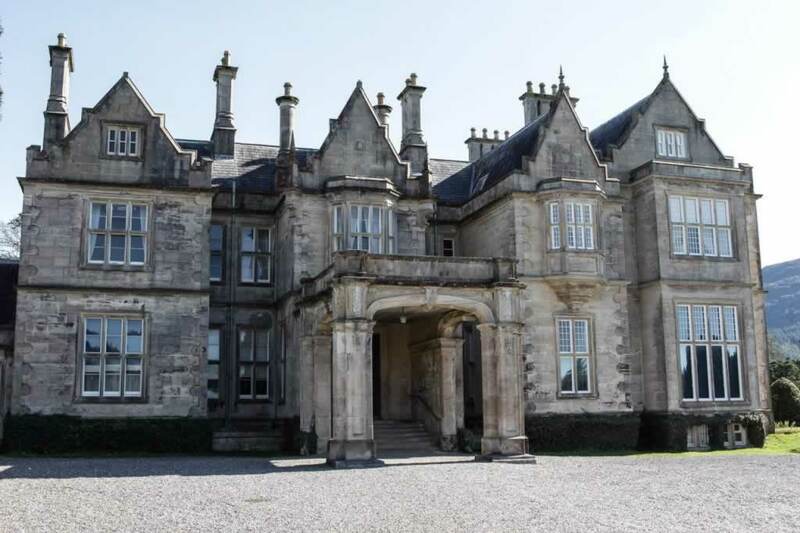 When I saw the name Muckross House, I thought it was the private home of the Muckross family. I trespassed a little to take some photos in the park, but I had no idea I could have gone farther. The color of the grass impressed me the most. It was the greenest green I’ve ever seen (and I live in a country with pastures and hills). 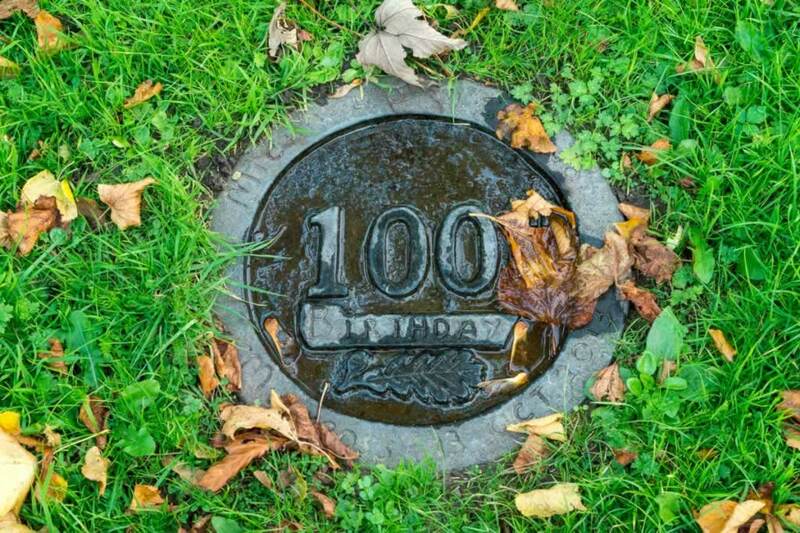 100 birthday – let’s drink to that! I’m not a morning person. However, during my stay in Killarney, I had to wake up early to get to the travel blogging conference sessions. The conference took place at the INEC Conference Center. In order to get there, you have to cross the bridge over the Flask River. This is how I know that this is one of the best things to do in Killarney. You’re going to have the opportunity to enjoy breathtaking views. If you’re into photography, get ready to take some stunning shots of the sky and the trees reflecting into the river. Sometimes there are fishermen trying their luck early in the morning. The photogenic Flesk River looks good at sunrise. Watching the sunrise from the bridge is one of the best things to do in Killarney. 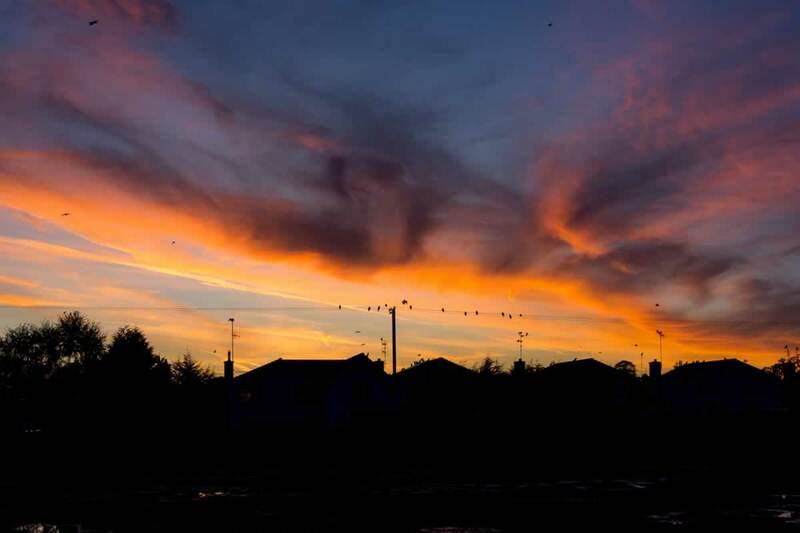 One of the most gorgeous sunsets I’ve experienced in Ireland. Wherever you look, there are colors and shapes that fill your soul with joy and your eyes with color. There are trips to Gap of Dunloe and the Lakes of Killarney, just in case you don’t want to get there by yourself. For instance, you can take a closer look at this Gap of Dunloe boat and pony & trap tour. The tour takes five hours.You’ll sail, you’ll ride a genuine pony-and-trap, and you’ll take thousands of photos. The Kerry County is paradise on Earth, so you’ll feel the urge to take a photo every ten seconds or so. 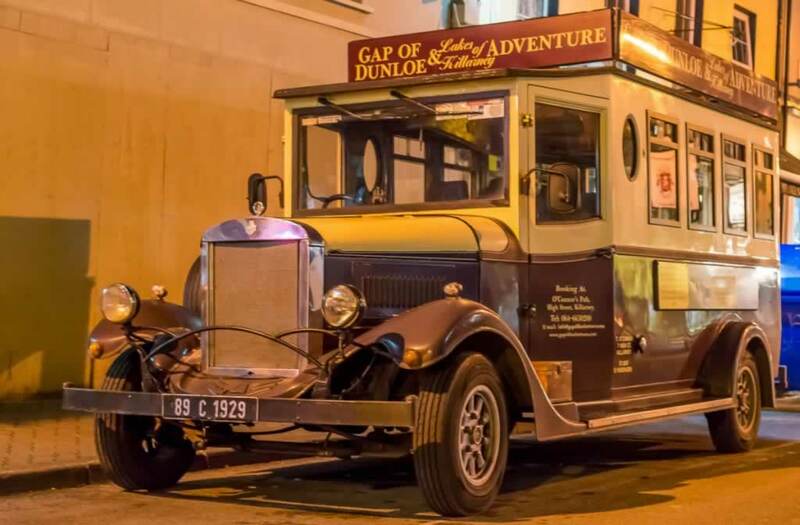 During this Gap of Dunloe tour, you’ll pass by Innisfallen Island, Bricin bridge, Coleen Bawn Rock, Torc mountain, Old Weir bridge, and the Meetings of the Waters. It starts from the Ross Castle (you’ll also have the transfer from Killarney city center to Ross Castle. Beware, though, the tour runs only if the weather isn’t windy or stormy. If needed, you can move yours to another day. Pre-booking is required, so make sure you do it here. The Ring of Kerry is one of my best reasons to get back to Killarney for a longer stay. Renting a car and doing the tour at your own pace is probably the best thing you can do. However, if you don’t feel like driving on the left side of the road (I know I don’t), you can take an organized Ring of Kerry tour like this one, here. You’ll start from Killarney and you’ll drive to the Iveragh Peninsula. In fact, Iveragh Peninsula is the official name of the well-known Ring of Kerry. 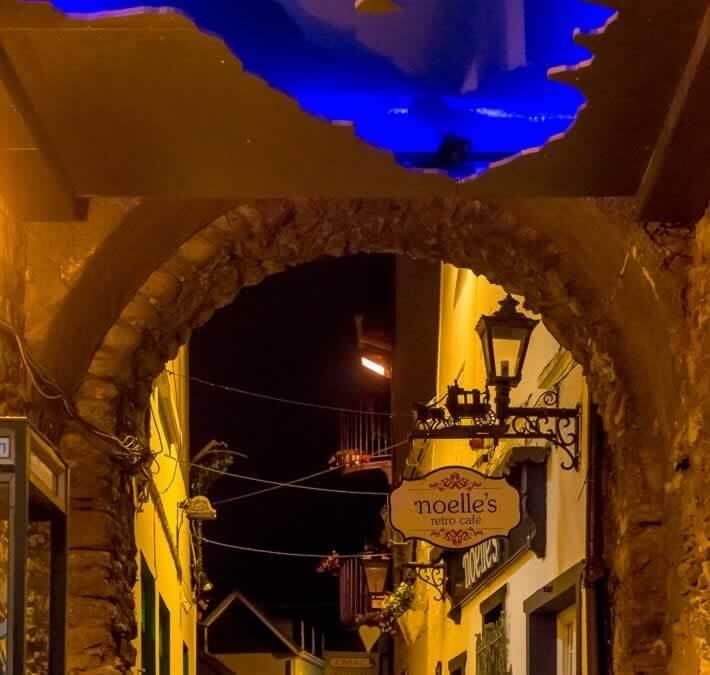 You’ll pass through old towns and villages such as Killorglin, Waterville, and Sneem. You’ll see the famous Ladies’ View (also known as Leprechaun Crossing). You’ll also see the Torc Waterfall in the Friers Glenn forest. On sunny days, you’ll be able to see the Blasket Islands and the Skelling Rocks. This tour includes guide and transportation. It doesn’t include lunch, but you should be able to find some nice fish and chips in Sneem.